KENYAN MP (EMBAKASI NORTH) HON. GAKUYA ARRESTED FOR STEALING KSH. 40 MILLION CDF CASH! Embakasi North MP James Mwangi Gakuya was Wednesday arrested for corruption related charges by Officials from the Ethics and Anti-Corruption Commission (EACC). 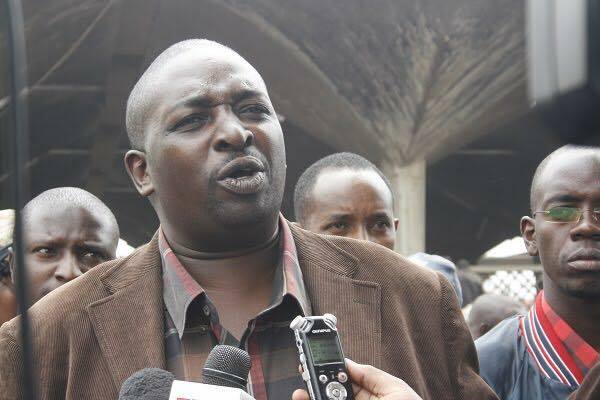 Mr Gakuya was arrested together with three other constituency employees; Mr Cleophas Omariba Oyaro (district accountant), Ms Leah Waithera Guchu ( fund account manager) and Constituency Development Fund (CDF) Chairman Richard Mwangi Chuchu. Gakuya is accused of breaking procurement laws to get businesses for his companies from the Constituency Development Funds (CDF) valued at more than Sh40 million. The investigations, EACC said, had established the irregular award of contracts, where the companies associated with Mr Gakuya were awarded the Sh40 million contracts, paid through bank accounts to which the MP was a signatory. ← GUILTY! FORMER TRUMP CAMPAIGN CHAIRMAN PAUL MANAFORT IS FOUND GUILTY OF TAX AND BANK FRAUD!